NEW YORK — After more than a decade collaborating with the writer and director Alfonso Cuaron, producer Gabriela Rodriguez knew his work inside out. But even she didn't anticipate the universal success his "Roma" has enjoyed. "I thought it would have an interesting impact in Latin America, but not that it would get to where it's gotten around the world and much less that the academies and guilds would recognize it as they have," Rodriguez said in a recent interview with The Associated Press. "I never doubted the movie was spectacular," she added. "The big surprise was seeing people from every place in the world, from any social class and ethnicity, connecting with the story." Rodriguez, 38, will arrive at Sunday's Oscars as the first Latina ever nominated for best picture, and many believe she and the film have a good chance to win. Since its August debut at the Venice Film Festival, where it earned the Golden Lion, "Roma" has received accolades and awards at the Golden Globes and the British film academy's BAFTAs. "The truth is that as a human being, not even as a woman or a Latina, this is incredible," Rodriguez said, speaking in Spanish. "To me is an immense satisfaction that people that do what I do, people in the industry that I respect and admire, recognize the incredible work that we have done." The touching black-and-white drama based on Cuaron memories from the early '70s in Mexico City will compete for 10 Academy Awards, including best direction, original script and cinematography. The film was shot in an atypical manner: without a script and with a cast comprised largely of unexperienced actors. Rodriguez, who like Cuaron is based in London, had never worked in Mexico, so she relied on Nicolas Celis, the Mexican producer of "Desierto" by Jonas Cuaron, the son of Alfonso. She defined her role as a producer "a little like that of a general manager" or "little glamour and a lot of work." It involves coordinating, organizing and solving any unforeseen circumstance and, in her experience, there are always surprises, regardless of how prepared and organized you are. Her biggest challenge, in the best sense of the word, has a name and a last-name: Alfonso Cuaron. "He is a very, very, very, very demanding person, and very perseverant. He is the first one to arrive and the last one to leave, the one that works the most and motivates everyone to give 100 percent. The word 'no' doesn't exist in his vocabulary," she said, laughing. Rodriguez started working with Cuaron almost 15 years ago when, after studying at Suffolk University in Boston, she got to intern with the director in New York. A few months later she became his personal assistant and then moved with him to London to shoot "Children of Men." She also was an associate producer for "Gravity" before becoming the producer of "Roma" by "natural evolution." 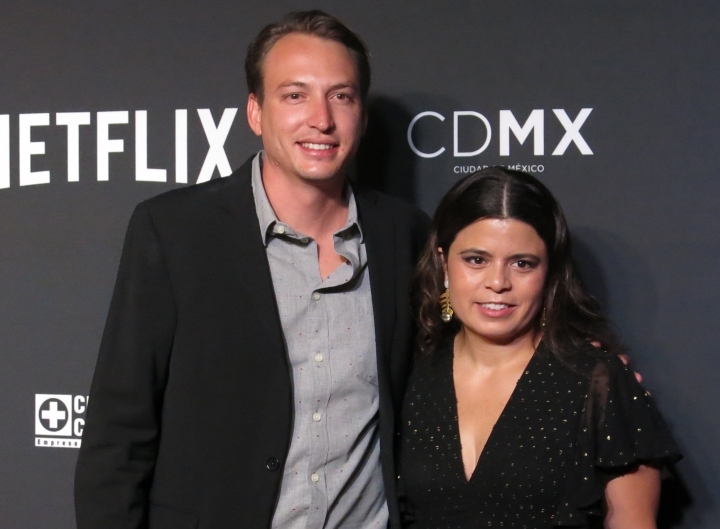 The film follows a domestic worker named Cleo (Yalitza Aparicio,) who works devoutly for a family in the Roma neighborhood of the capital city. The family life, seemingly immaculate, is cracking as the father leaves his wife (Marina de Tavira.) The story is set amid the tumult of early 1970s Mexico, including the violent 1971 student demonstrations. 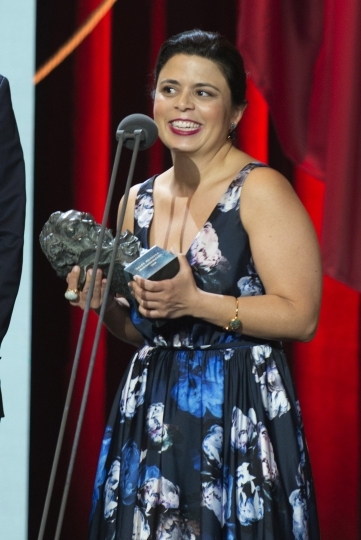 Rodriguez, who said she was "completely touched" with the story and the performances of its stars ("Seeing Yalitza in the monitor or the set sometimes would make me cry"), can't avoid finding similarities between the reality captured by Cuaron in "Roma" and her own childhood in Venezuela, where most of her family still lives. She recalls attempted coups on then-President Carlos Andres Perez. "It was a turbulent moment that marked my identity," the producer said. "I also had a 'Cleo' living in my house all my life, she was the same nanny of my mom, and I grew up in my grandparents' house. That same social composition shown by Alfonso of his home, I lived something similar." And while she is eager to go back and even produce some cinema in her native land, for now she is getting ready to attend the Oscars and perhaps make history. "If me being recognized can inspire youth, women, Latinas, etc. to feel that they also can," she said, "I think that is spectacular." But whatever happens at the Oscars, "I am only thinking of how much fun we're going to have. We already feel victorious." Follow Sigal Ratner-Arias on Twitter at: https://twitter.com/sigalratner .